Wally Bock of Three Star Leadership blog guest cohosts and talks about his brand new book, Ruthless Focus, which he coauthored with Thomas Hall. Wally also gives his roundup of leadership on the independent business blogs as well as his question of the week. Peter review the Impact Leadership iPhone app and more great podsafe music. 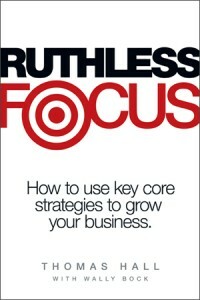 Tagged with GiANT Impact, iPhone app, Ruthless Focus, Wally Bock.